The Bones of Paul – Grave Spinning Time? ROME – The first-ever scientific test on what are believed to be the remains of the Apostle Paul “seems to confirm” that they do indeed belong to the Roman Catholic saint, Pope Benedict XVI said Sunday. Archaeologists recently unearthed and opened the white marble sarcophagus located under the Basilica of St. Paul’s Outside the Walls in Rome, which for some 2,000 years has been believed by the faithful to be the tomb of St. Paul. “This seems to confirm the unanimous and uncontested tradition that they are the mortal remains of the Apostle Paul,” Benedict said, announcing the findings at a service in the basilica to mark the end of the Vatican‘s Paoline year, in honor of the apostle. Not to be the skunk at the picnic, but this discovery seems to be well, a bit underwhelming. Let’s face it, there were a lot of people who lived in the first and second centuries. The fact that this tomb had remains that date to that era is interesting but certainly not conclusive. Vatican archaeologists in 2002 began excavating the 8-foot-long coffin, which dates from at least A.D. 390 and was buried under the basilica’s main altar. The decision to unearth it was made after pilgrims who came to Rome during the Roman Catholic Church‘s 2000 Jubilee year expressed disappointment at finding that the saint’s tomb — buried under layers of plaster and further hidden by an iron grate — could not be visited or touched. The top of the coffin has small openings — subsequently covered with mortar — because in ancient times Christians would insert offerings or try to touch the remains. The fervent attention being paid to this traditionally identified resting place of Paul’s earthly remains raises a provocative question – What would the apostle himself think of all this? In his ministry career, Paul had to deal with his share of misplaced hero worship. For where there are envy, strife, and divisions among you, are you not carnal and behaving like mere men? 4 For when one says, “I am of Paul,” and another, “I am of Apollos,” are you not carnal? 7 So then neither he who plants is anything, nor he who waters, but God who gives the increase. 8 Now he who plants and he who waters are one, and each one will receive his own reward according to his own labor. 9 For we are God’s fellow workers; you are God’s field, you are God’s building. 10 According to the grace of God which was given to me, as a wise master builder I have laid the foundation, and another builds on it. But let each one take heed how he builds on it. Paul was absolutely committed to making Jesus the center of attention in everything he did. The notion that people would provide him an ornate grave and think that somehow they were going to be blessed by touching his remains, stuffing a prayer request in his coffin, or praying to him at the site would undoubtedly have left him spinning in it. And here is the second scriptural truth that gets strangely left out of these discussions of the remains of saints – the real apostle Paul is nowhere near this basilica right now. 2 For in this we groan, earnestly desiring to be clothed with our habitation which is from heaven, 3 if indeed, having been clothed, we shall not be found naked. 4 For we who are in this tent groan, being burdened, not because we want to be unclothed, but further clothed, that mortality may be swallowed up by life. 5 Now He who has prepared us for this very thing is God, who also has given us the Spirit as a guarantee. The real apostle Paul is absent from the body that may or may not have been carbon tested last week. The real apostle Paul is present with his Lord. Don’t get me wrong. The upside of research like this is that it emphasizes the historical fact of the Christian faith. Paul was not a figment of some overheated religious imagination. He lived and breathed like we do. He had a life changing encounter with the resurrected Jesus that so transformed him we are still discussing his impact on the world today. For one generation that question brings back memories of the JFK assasination. For another the tragic death of Martin Luther King Junior. Where were you when you heard Michael Jackson had died? Being the same age as Michael Jackson, I can vividly recall when he burst on the scene – easily eclipsing the rest of the brother act known as the Jackson Five. But please get out of the way and let that charismatic kid with the incredible voice and dance moves to match take center stage, please. The Jackson Five faded after a few years. But in the early 80’s, Michael came back on the scene with a vengeance. The Quincy Jones produced album “Thriller” established Jackson as an artist found in the same rarefied atmosphere as Frank Sinatra, Elvis and the Beatles. When Michael began to refer to himself as the “King of Pop”, no one scoffed. But outside the spotlight, another story was unfolding – the story of a man under overwhelming pressure not just to perform on stage, but in every area of life. When “Thriller” hit the air waves I was working as a youth pastor in Agoura Hills, California – about 20 miles north of the Jackson family home in Encino. Talk about an unexpected brush with greatness. “Michael Jackson was going door to door as a Jehovah’s Witness in your neighborhood? Did you get a chance to tell him about Jesus?”, I asked. Now what could have possibly motivated a man who, by all accounts, was painfully shy off stage to go door to door selling the Watchtower to total strangers? Michael Jackson’s mother was a committed Jehovah’s Witness. No doubt Jackson would never have chosen to do something as uncomfortable as a door to door mission if he wasn’t trying his best to please his mother. Or perhaps he was trying to make up for a bad conscience with a heroic religious act. We will never know for sure what lead Michael to spend a day on the “mean streets” of Agoura Hills. But the pressure must have been immense. There is no doubt this man was given a pretty tough row to hoe in life. How do you keep your head on straight when you are raised under a system of rigid religiosity, and yet are known for demonstrating increasingly explicit dance moves in front of the entire country? How do you maintain humility not just in the face of sold out crowds who seemed to worship you, but also in light of those who made you the object of their religion – a sect of J.W’s who actually believed you were the biblical arch angel Michael? How do you keep an increasingly eccentric personality in check when you have complete freedom to do whatever you like financially? In short, Michael Jackson didn’t maintain his balance. And the price to be paid was steep. 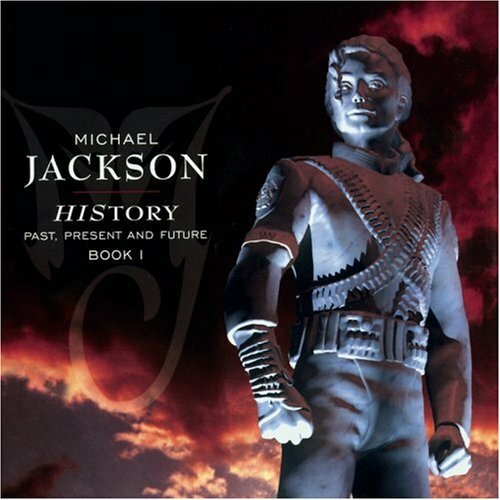 No one embodied this more than Michael Jackson. The rumors of financial ruin. Michael Jackson never seemed to be able to escape his personal pain. But it does seem that he regularly attempted to medicate it by turning back to systems of religious rigidity. In fact, one of the last headline grabbing stories prior to his death involved his move to the Persian Gulf nation of Bahrain and a conversion to Islam. The American singer Michael Jackson has converted to Islam, the Sun newspaper reported over the weekend. The 50-year-old pop star, who changed his name to Mikaeel, pledged allegiance to the Koran at a friend’s house in Los Angeles. An Imam was summoned from a nearby mosque to hold the shahada, the declaration of belief in Allah and Mohammed’s prophecy. Last week, he sold his multimillion California estate, Neverland Ranch, to cover his debts. He is also facing a lawsuit by a Bahrain prince, Sheikh Abdulla Bin Hamad Bin Isa Al-Khalifa, who alleges he gave Jackson $2.2 million after he was acquitted of child molestation in 2007. What to make of the death of the “King of Pop”? I’m certain there will be all kinds of retrospectives concerning the highlights of his career and the depth of his personal problems. But my mind goes back to that day on the streets of Agoura Hills. I wonder what would Michael Jackson’s life have been like if he hadn’t run away from that door step? What if he had heard about the real Jesus – not the one preached by a cult that would crush him with a laundry list of impossible demands – but the One Who loved him unconditionally? The same Jesus Who could supply the power to either bear up under the weight of fame, or even give him the courage to simply walk away? The same Jesus Who could have given him a new heart? Michael began his journey in life with the heavy load of legalism. Tragically, it looks like his strange, sad spiritual journey ended the same way. The “Keys” to the Kingdom? More bad news breaking in Iran today. The protests against the dubious landslide victory of Mahmoud Ahmadinejad are continuing unabated. But the forces under the control of Supreme Leader Ayatollah Khameni are turning up the heat as well. The security forces were “”beating women madly” and “killing people like hell,” the source said. “They beat up a woman so bad she was all bloody,” the source said in a description that underscores the growing and central role of women in the uprising. These developments certainly create some serious problems for moral relativists. Good and evil seem far removed from a mere philosophical distinction when we watch a beautiful woman like Neda Soltan bleed to death on the streets of Tehran. These traumatic events raise an important question – What motivates someone to gun down a woman in cold blood for no other reason than she happened to be standing with a group of protesters? 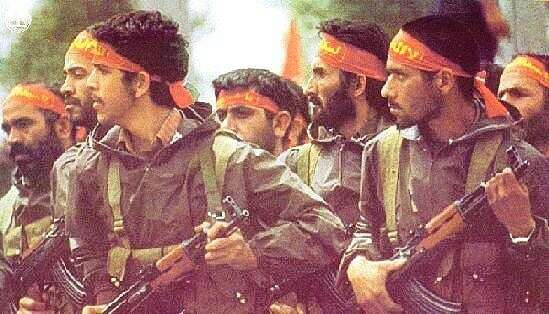 The answer lies in an understanding of the origins of the Basij. The Iranian regime is using nonuniformed thugs to impose its will on the population. These are the tactics of a terrorist organization, not a legitimate government. In a series of rulings issued in the autumn of 1982, Ayatollah Khomeini declared that parental permission was unnecessary for those going to the front, that volunteering for military duty was a religious obligation, and that serving in the armed forces took priority over all other forms of work or study. Various sources reported that children were indoctrinated into participating in combat. They were given “keys to paradise” and promised that they would go directly to heaven if they died as martyrs against the Iraqi enemy. Iranian officers captured by the Iraqis claimed that nine out of ten Iranian child soldiers were killed. According to one journalist, most recruits had between one and three months of military training before being sent to the front, but some had no training at all. Boys as young as nine were reportedly used in human wave attacks and to serve as mine sweepers in the war with Iraq. The Basij have no problem either committing or being a part of an atrocity because they believe it is there “key to the kingdom”. Obey the instruction of your mullahs and a place in paradise awaits. Now one has to be incredibly sincere to sign up for human mine sweeper duty, or to be in the front row of a human wave assault, or to shoot down innocent people in cold blood. But as events in Iran starkly reveal, one can be sincere – but sincerely wrong. In fact, sincerity is only a virtue if it is invested in the right place. Consider the contrast between a modern suicide bomber and a first century saint, like Simon Peter. Both have one thing in common – they willing died for their beliefs. But the contrast is also striking. The loyal member of the Basij is staking his life, even his eternal destiny on the words of a Muslim cleric. He has no first hand knowledge that the plastic key he carries in his pocket will actually guarantee his entrance into heavenly realms. Simon Peter was motivated by something quite different. Facing the same seasoned group of political power bosses that orchestrated the crucifixion of Jesus, he and the apostle John were warned in no uncertain terms never to mention the name of Christ again. Did you catch the distinction? The apostles were willing to die brutal grisly deaths not because they had a promise from a cleric, but because they had first hand experience with the risen Jesus. They were quite willing to die not for a philosophy, or a political agenda, or a personal feeling – but for a historical fact. Their faith didn’t lead them to senseless acts of violence, but a steady, even serene demonstration of the power and love of the risen Jesus in their lives. And when the choice came down to denying that their Lord really rose from the dead or facing a tortuous departure from this life, they accepted the consequences of their stand. The authenticity of their eyewitness testimony that Jesus rose from the dead was quite literally signed in blood. As the Basij and the apostles demonstrate, sincerity alone is not enough. It really does matter what we believe. It really does matter who we decide to trust. One way leads to death and destruction. The other leads to life and love. Update: The Basij are at it again – this time shamefully harassing the greiving family of Neda Soltan. Exit question: If the lame charge that a BBC documentary maker hired thugs to kill Neda in order to discredit the Iranian government is true – why won’t the Iranian government let the family mourn? And in this day and age there is no shortage of so called seers who seem to have taken Walpole’s advice. Modern prognosticators are famous for coming up with predictions that, well, quite frankly are a bit underwhelming. Most modern prophecy is little more than a statement of the obvious, delivered with glazed eyes and a spiritual sounding vibrato in the voice. I guess that’s why I find the study of Biblical prophecy so fascinating. When an Old Testament prophet began a statement with the words, “Thus says the Lord..” they weren’t offering their own speculations, but a revelation from the One Who is above and beyond time. And sometimes these predictions seemed almost impossible to fulfill. But you, O mountains of Israel, you shall shoot forth your branches and yield your fruit to My people Israel, for they are about to come. For indeed I am for you, and I will turn to you, and you shall be tilled and sown. I will multiply men upon you, all the house of Israel, all of it; and the cities shall be inhabited and the ruins rebuilt. I will multiply upon you man and beast; and they shall increase and bear young; I will make you inhabited as in former times, and do better for you than at your beginnings. Then you shall know that I am the LORD. Israel would return to her land after a long and desolate absence. The land, once a waste place would be reclaimed, renewed and blossom. Now this seems like a no-brainer to us. And yet in our day we have seen the Jews regathered to the land. The land has been amazingly restored, even to the point of becoming an exporter of agricultural products to the world. This prophecy has literally been fulfilled before our eyes. When God declares something, no matter how improbable, it is not only possible, but inevitably becomes a reality. The reason I share this is because there is another prophecy concerning the Last Days that tends to generate similar skepticism in our day. It is a prediction clearly made in both the Old and New Testaments, yet seems so unlikely, so impossible that some have tried to consign it to the waste bin of symbolism. Ezekiel devotes five entire chapters to this future event. The Bible declares that there will be a rebuilding of the Jewish Temple on its historic site. Of course one minor problem stands in the way of this prediction coming to pass. The Dome of the Rock, the third most venerated shrine in Islam, stands smack dab on top the Temple’s previous site. 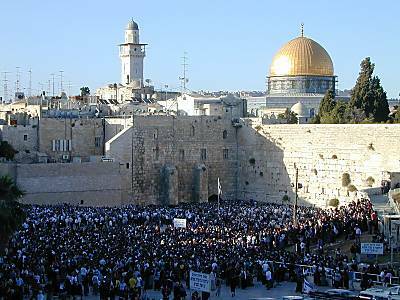 If the Jews demolished the Dome of the Rock, they would have to face the united wrath of nearly a billion Muslims. So how could this prophecy ever come to pass? It would require supernatural intervention, right? Well, hang onto your hat. An article in today’s Jerusalem Post may be giving us an insight into how that intervention may soon come to pass. A new Jewish interfaith initiative launched last week argues building the Third Jewish Temple in Jerusalem would not necessitate the destruction of the Dome of the Rock. An aerial view of Jerusalem’s Old City. “God’s Holy Mountain Vision” project hopes to defuse religious strife by showing that Jews’ end-of-days vision could harmoniously accommodate Islam’s present architectural hegemony on the Temple Mount. “This vision of religious shrines in peaceful proximity can transform the Temple Mount from a place of contention to its original sacred role as a place of worship shared by Jews, Muslims and Christians,” said Yoav Frankel, director of the initiative. Until now Jewish tradition has assumed that destruction of the Dome of the Rock was a precondition for the building of the third and last Temple. However, in an article that appeared in 2007 in Tehumin, an influential journal of Jewish law, Frankel, a young scholar, presented a different option. His main argument is that Jewish doctrine regarding the rebuilding of the Temple emphasizes the role of a prophet. This prophet would have extraordinary authority, including the discretion to specify the Temple’s precise location, regardless of any diverging Jewish traditions. So a “prophet” would have the authority to determine whether and where a new Temple would be rebuilt. Great for the Jews, but how would this “prophet” get the Muslims to sign off on the deal? Sheikh Abdulla Nimar Darwish, founder of the Islamic Movement in Israel, tells us there is a similar authority figure in Islam who alone would have the authority to have the Muslim world accept such a situation. Darwish warned against any attempt to rebuild the Temple before the coming of the mahdi. So both sides see only one way this intractable problem can be resolved – the coming of a supernaturally empowered individual who gives he order. How interesting that the Bible predicts just such a supernaturally charged individual coming on the scene to bring a peace agreement to pass that will include a rebuilt Temple. How interesting that Sheikh Darwish and Yoav Frankel would agree on one thing. If a man shows up who performs the signs and wonders of an ultimate prophet, even the Temple being rebuilt is possible. According to Daniel, both of these men may live to see the day when a hoped for but false “messiah” does just that. Some have theorized that the Temple will be rebuilt following a natural disaster like an earthquake. Some have suggested the Muslims built their shrine on the wrong spot and that there is room for both the Dome of the Rock and the Temple on the same piece of real estate. But this article indicates a third possibility – that it will be the supernaturally empowered deception of the Antichrist that will resolve the issue. You get ’em and I get ’em. They are almost unavoidable these days. Andy Rooney (a professing atheist) calling America to pray. George Carlin (a hard leftist) offering observations about what’s wrong with America that sound like an episode of Rush Limbaugh. And then the most delightful part of all – They usually promise death, financial ruin, or at least prickly heat for those who don’t send the message along to at least 25 of their closest friends they would like to alienate. But every now and then a rose is found among those thorns. Hence the picture you see above. were flying deeper over enemy territory instead of heading home to Kimbolton. Then realize that there is a German ME-109 fighter flying next to it. smashed and there were holes everywhere. about the incident, not even at post-war reunions. Lots of spiritual applications could be drawn from this amazing story, but I’d like to leave you with just one to consider. The legalist will tell you to follow the book. And the book would have told Franz Steigler to shoot down that plane. Better destroy that plane before its crew can get another and do more damage. But mercy would say, help the hurting. Jesus told a story that reveals that same choice. Now by chance a certain priest came down that road. And when he saw him, he passed by on the other side. Likewise a Levite, when he arrived at the place, came and looked, and passed by on the other side. Seems we are often faced with similar decisions in dealing with people. Legalism, pragmatism and mercy will all make their case. I wonder what I would have done if I had been in Franz Steigler’s place. One of the great benefits of doing a daily phone in Bible Q and A program is the opportunity to connect with, well, the well connected. 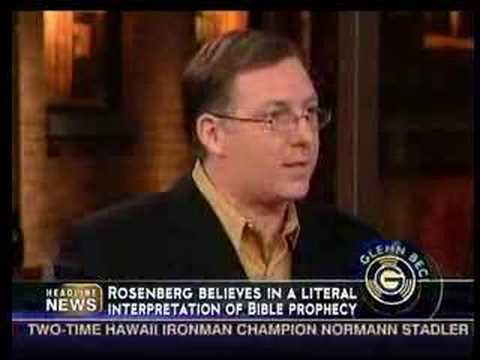 And there are few people I would consider more able to connect with the pulse of current events from a solidly scriptural point of view than NY Times Best Selling writer and regular SRL guest Joel Rosenberg. I had the unique opportunity to participate in a prophecy update conference call with Joel this afternoon. According to Joel, Mahmoud Ahmadinejhad was not re-elected, but rather “re-annointed” president of Iran by Supreme Leader Ayatollah Khameni. The rigged election results indicate that far from being a loose cannon or a maverick, Ahmadinejhad’s positions on Iran’s nuclear weapons program, his end times hope of the appearance of the Shiite Muslim “messiah”, as well as the desire to see Israel wiped off the map were endorsed at the highest level. In his seeming rival, Mir Houssein Mousavi is by no means the moderate reformer he has been portrayed as in the Western press. Out of 450 potential candidates for president, only four were approved by Khameni to run for the office in the first place. Mr. Mousavi had to pass that pre-screening before his name appeared on a ballot. Mousavi’s political resume is troubling as well. He has previously served as president of Iran, appointed to the position by the Ayatollah Kohmeni. During his terms in the 80’s he was the one who started Iran’s nuclear weapons program, ordered children to serve as “martyrs”, clearing mine fields in the Iraq war, as well as ordering human wave assaults during that conflict. Although this situation is portrayed as a battle between Islamic radicals and reformers, Mousavi is only an opportunist. 70% of Iranians are under thirty years of age and aren’t old enough to remember life under Mousavi’s rule. Although an overthrow of the Iranian government is not likely, the mass demonstrations in Tehran are “a snap shot of tensions in the Islamic world”. The average person in Iran wants to have connection with the outside world and are increasingly becoming disillusioned with the repressive tactics of the mullahs. This hunger for an alternative has provided incredible opportunities to share the message of Jesus in Iran. There are numerous accounts of Iranians coming to faith in Christ in miraculous ways. These converts are sharing their faith boldly, but need instruction in Bible study and practical ministry. Joel referred to US/Israeli relations as “a trainwreck in motion”. Although President Obama has gone out of his way to say that the United States “doesn’t want to meddle” in Iranian affairs, he seems to have an overwhelming desire to meddle in Israeli affairs. This policy of pressuring Israel is becoming more troublesome by the day. Prime Minister Benjamin Netanyahu’s mention of the term “Palestinian State” is a direct result of this kind of pressure. Israel is feeling more and more isolated from the United States. This kind of isolation encourages her radical enemies as they believe this distance provides an ideal opportunity for another war. According to Joel, God may be weaning Israel from depernence on the United states as her hope of deliverance. God desires His people to trust in Him alone. Joel emphasized that we want our nation to continue as a friend of Israel, but as support for Israel around the world wanes, we have an opportunity as Bible believing Christians to be a powerful witness to the Jewish people as we stand with and make efforts to tangibly bless them. After much prayer and personal intervention with the prime minister of the Kurdish Regional Government in Northern Iraq, a Christian FM stattion is now on the air in the million population capitol of Erbil. The general manager of the station is a former jihadist who was won to Christ through the ministry of Trans World Radio out of Monaco. The station is now producing original Arabic and Kurdish programming. Thanks again to Joel for taking the time to provide such exciting and cutting edge information on what God is doing! An Open Letter to Eli: Interceding For Iran? One of the most spot on predictions concerning our day is found recorded in the book of Daniel. Few developments have facilitated the fulfillment of this prophecy more than the rise of the internet. Now I know that we all have sat through enough admonitions concerning the danger of this unfettered flow of information and communication we call the world wide web. And certainly there are millions of stories about lives destroyed and hope lost as a result of what has become freely available in our homes by the touch of a mouse. But there is an upside to this story as well. What some intend for evil, God can certainly use for good. We see this verified almost everyday here at the minstry of Scott Richards Live. Our Monday through Friday Bible question and answer program has a limited reach on the radio. In fact, when you stop to consider that we are heard over the air in essentially three smaller broadcast markets – Tucson, Honolulu and Sierra Vista, Arizona – it is amazing how strong the response is each and every day. But what is really mind blowing is how impactful this relatively limited radio ministry becomes when linked to the internet. Did you realize for instance that through http://www.scottrichardslive.com we average nearly 5,000 hits per month from the Russian Federation alone? We have been told just recently that there is a group of listeners who listen to us live in Ireland by way of the web. People in places closed to traditional missionary work like Pakistan and Saudi Arabia regularly log in, visit and down load programming from this funky little ministry in south eastern Arizona. But this week, my sense of awe over how God is using this outreach hit an entirely new level. As a regular reader of this space, you know that we cover current events from the standpoint of their significance to biblical prophecy. As such, we have had a number of blog articles offering analysis of events in Iran from this perspective. Well, you never know who may be listening. Consider for a moment this short but heart gripping comment that was sent along in response to our Scott’s Blog feature on the elections in Iran. There was nothing we could do for the result of this election.all the people were fooled and deceived.we join the election but results were not what they should be.I feel ashamed and I’m so sorry that I took part and voted! First of all, Eli, you have nothing to be ashamed of. You acted in good faith for the benefit of your nation. It was not your fault that those who have given themselves over to evil and oppression have set their own delusions of grandeur over their God given duty to serve their people. Second, Eli, you are not alone. Please know that all of those who are a regular part of this web site and radio outreach are praying for you, your country, and yes, even for the souls of people like Mahmoud Ahmadinejhad. I believe that the Bible indicates their desire to destroy Israel and bring great suffering to the entire region will not succeed. Rather, this transparent attempt to thwart the will of their own people through censorship, threats and even murder has revealed both to the people of Iran and the world the true nature of this regime. Eli, the first step toward defeating darkness is to bring it into the light. Your courageous actions in both voting your conscience and allowing those of us who are on the outside looking in to know the truth are huge steps in that direction. We will continue to pray for the light, love and truth of Isa (Jesus) will transform the hearts and lives of the people of Iran. that you, being rooted and grounded in love, may be able to comprehend with all the saints what is the width and length and depth and height— to know the love of Christ which passes knowledge; that you may be filled with all the fullness of God.